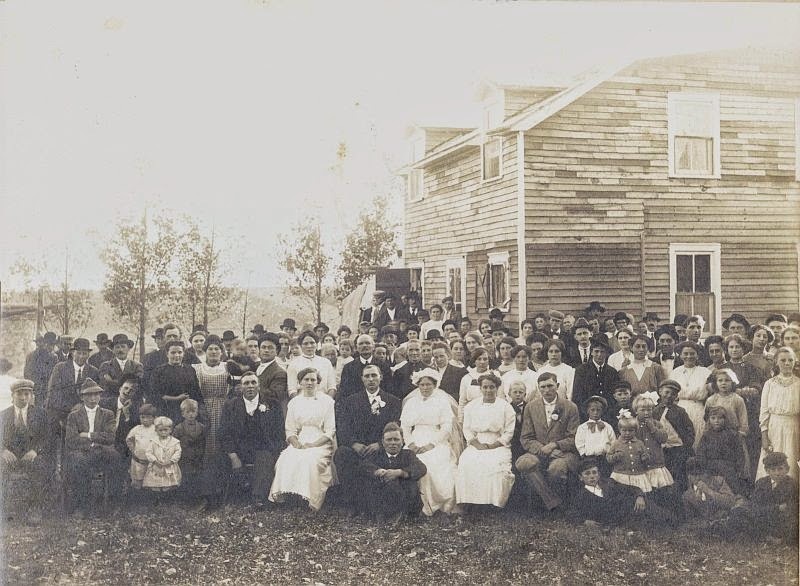 On October 15, 1912, Peter Beka and Elizabeth Dengel were married in Buckman, Minnesota, with a full compliment of friends and relatives attending. 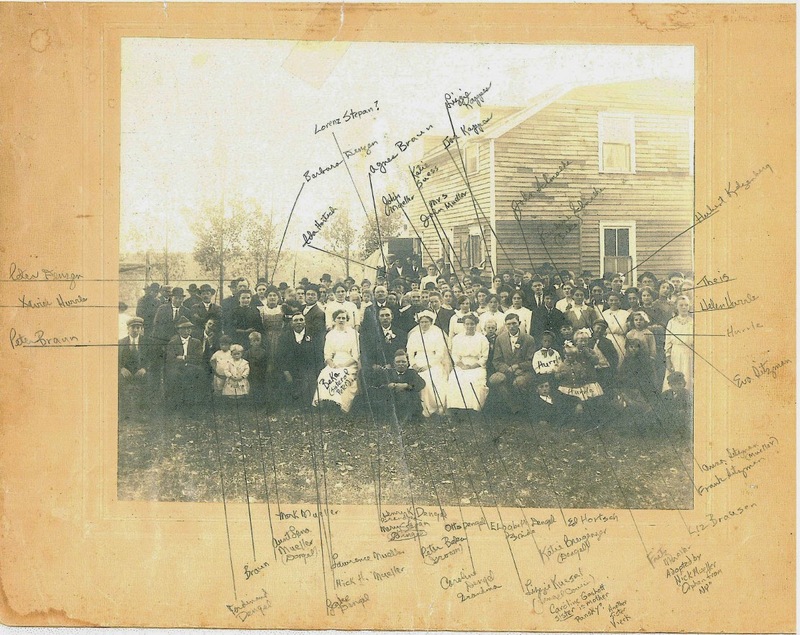 About 100 years later, their niece Liz Mueller identified some of the people who were there. (If you recall, we originally IDd this photo as Nick Mueller and Lena Dengel, but according to this, the happy couple is Peter and Liz. Ahh, yes! There are Nick and Lena as guests, on the left. They were married 5 years earlier, in 1907). You'll be able to sleep tonight after all. Surnames mentioned on the pic include Braun, Beka, Stepan, Denzen, Suess, Kappes, Schmolke, Kelzenberg, Theis, Hurrle, Sitzman, Brausen, Breigenzer, Kuesel, Hortsch, Gashott, Pansky and Vierk as well as Muellers and Dengels. (I know you can read em when you click the pic, but this way, they're google-able, natch ☺). I love that we can find the original news clipping about it, too! It's obvious these two photos were taken on the same day. They're all there in the group pic, see?